Child Abuse Registry Check and Criminal Record Check documents will be required prior to commencement of employment. St. Boniface Diocesan High School 282 Dubuc St. Winnipeg, MB R2H 1E4 E-mail: jrobinson@sbdhs.net Phone: (204) 987-1560 Fax: (204) 204-237-9891 Only those who are being considered will be contacted, no phone calls please. Thank you for your application. Only those candidates selected for an interview will be contacted. St. Ignatius School is accepting applications for the following full-time permanent position effective Tuesday, September 3, 2019.  a demonstrated commitment to professional development. Thank you for your application, but only those candidates selected for an interview will be contacted. Invites applicants for a permanent position for the 2019-20 school year. Only those who are being considered will be contacted. All applicants are thanked for their interest, but only those candidates selected for an interview will be contacted. All hiring will be conditional upon the results of Criminal Record and Child Abuse Registry checks. This posting will remain open until April 30, 2019. TRADITION OF THE SISTERS OF THE HOLY NAMES OF JESUS AND MARY. At St. Mary’s Academy, our mission is to nurture young women in spirit, mind and body, so that each student reaches her full potential as an individual created in God’s image. Our teachers are part of a consultative, collaborative community of professionals who strive to meet the needs of current learners in an ever-changing world. SMA believes in teaching and learning to increase student engagement; enhance student skills in critical thinking, communication, creativity and collaboration; and we support continuous learning and development of our faculty. All applicants are thanked for their interest however only those being considered will be contacted. All applications will be held in confidence. Start Date: September 3rd, 2019 – June 30th, 2020. Successful applicants MUST provide satisfactory Criminal Record/Vulnerable Sector & Child Abuse Registry Checks. We thank all for their interest, however, only those selected for further consideration will be contacted. By applying, you are consenting that the Holy Ghost School may contact your references. Invites applications for the following position. This is a full time teaching position that commences September, 2019. Hold a valid Manitoba Permanent Professional Certificate (or equivalent credentials from another jurisdiction). Have experience and/or training related to the position of interest. Demonstrate strong conviction and practice to the Catholic faith and have a teaching philosophy that is in keeping with the philosophy of Catholic education. We wish to thank all applicants. Only those candidates selected for an interview will be contacted. Become part of the MCS Substitute Teacher Team! 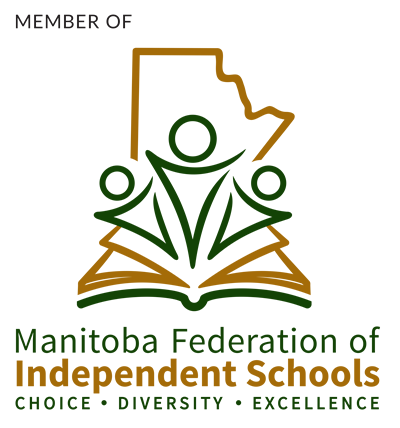 If your graduation is pending please provide a letter from the Manitoba Education, Certification Branch indicating your availability to teach prior to receiving your certification. A completed "Substitute Teacher Application Form", which is available by clicking here. You must make an appointment to bring in the original documents of a recent (within the last 3 years) Child Abuse Registry Check and Criminal Records Search (including a Vulnerable Sector Search) - we will make copies and return the originals to you. Upon completion and submission of your application to Manitoba Catholic Schools, you will be contacted via email regarding your acceptance.